Ghaziabad is one of the popular cities of UP. It is the primary industrial, commercial and education center of the state. It’s well known as “Gateway of UP” because it’s situated on the main route going into UP. It has a number of Colleges, Study centers, ITI’s etc. to provide the best education to the students in the field of Management, Law, Commerce, Medical and Technolgy etc. To impart technical skills to the youth so that they can get better job opportunities in their life govt. opened 1 Govt. ITI or 28 Private ITI’s or Industrial Training Institutes in the city. They offered technical as well as non-technical education to the students. 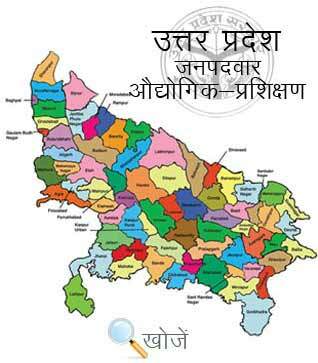 In the state of Uttar Pradesh, VyavasayikPareekshaParishad (www.vppup.in) is responsible for conducting the entrance examination for admission. The Directorate General of Training (DGT) starts craftsmanship training scheme in 1950. Trainees get paid during the training and get NTC (National Trade Certificate) also. Students can also visit online education portal www.upiti.in as well provide them all necessary information regarding downloading application forms, important notifications, counseling dates etc. very quickly. Minimum age up to 14 years and the basic qualification is matriculation to join these courses. Time duration of the courses is 6 months, 1 year and 2 years.